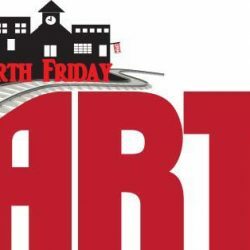 Boyertown’s Fourth Friday Art Walk is your opportunity to see the amazing and unique things that small businesses and local artisans have to offer in our historic little town. Our local Merchants will provide you and your family with great art, great music and great food from 5:00 – 8:00 pm at many different venues on Friday, October 27th. This month Dancing Tree Creations Artisans’ Gallery & Studio will feature acoustic guitar and harmonica player, Cliff Stackonis. Cliff writes and performs lyrical “story” songs in a country soulful-jazz style with blues sensibilities. From 5-6pm Artist Amanda Clark will be at the new Firefly Outpost discussing her work for “The Sanctuary Project”. Small prints will be for sale and will benefit farm sanctuaries. The Book Nook will have Michael E. Myers, Creative Photography displaying his work. Come see Eugene Taylor, Apiary Wax Molder at The Peppermint Stick Candy Store. You can view his wax candle creations and purchase his local honey and honey combs. Some of the other participating artists and venues include: Studio B with Rhonda Counts who will demonstrate her unique style of painting with textures inspired by nature. Rhonda had a 30 year career as Art Director for Walt Disney Imagineering; and Deal Me In Games will host the Wellness Council of Boyertown as they feature a Bear Walk and Fitness Challenge that will be lots of fun for the kids. Please join us for a great evening. In conjunction with Fourth Friday, Pumpkinfest will be going on Friday and Saturday. There will be two venues on Friday where you and your family can carve or paint pumpkins. These locations are at the Building A Better Boyertown office and Simply Sherry’s. Please see map for all locations. Also located in the breezeway between Patsy’s and The Peppermint Stick Candy Store you will see two very large pumpkins. You will be able to cast your vote for the weight of the pumpkins and the people who come closest will win the giant pumpkins! Maps can be picked up at the Information Kiosk in the Train Yard on Philadelphia Avenue and also at each venue. Our Fourth Friday’s are very family oriented and provide lots of fun on a Friday night.